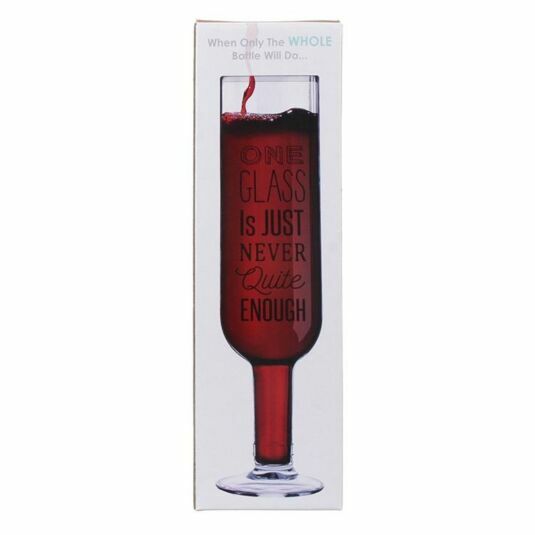 We all know that sometimes you want a whole bottle in one glass! Well with this Wine Bottle Glass, the dream is real! It makes a brilliant party gift for birthdays or Christmas. Coming in a gift box, this glass is quite something. Standing at 29cm high, it is colossal, able to hold a whopping 700ml of liquid. Whether it is a large drink of water or a whole bottle of wine, we won’t judge, but please drink responsibly. 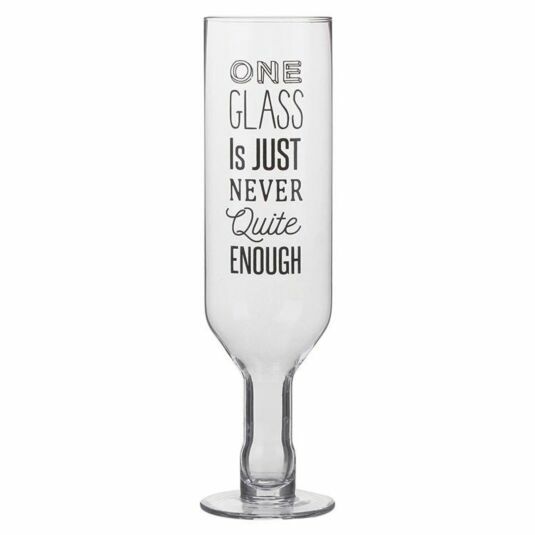 On the front of the glass, which is shaped more like a flute than a wine glass, are the words ‘One Glass Is Just Never Quite Enough.’ The text tell its own story!